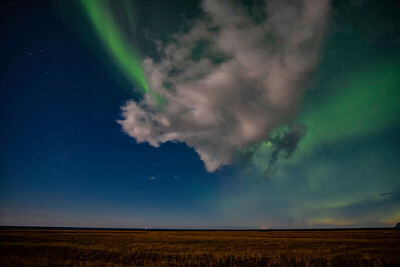 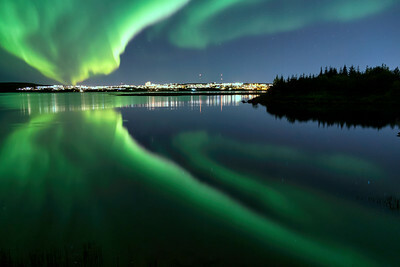 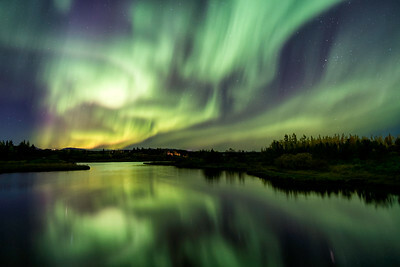 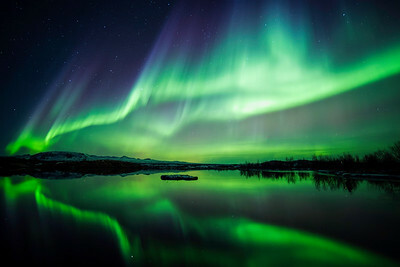 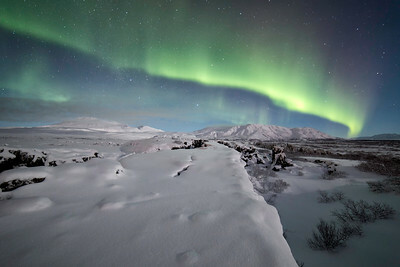 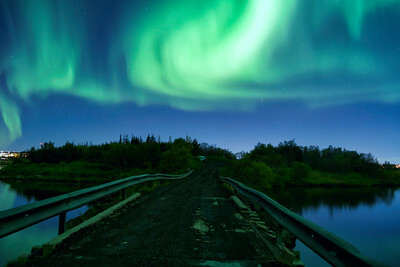 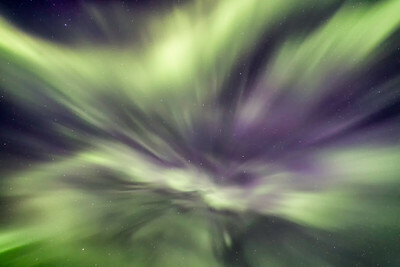 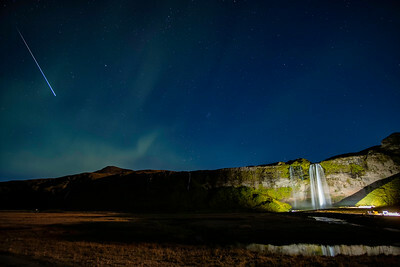 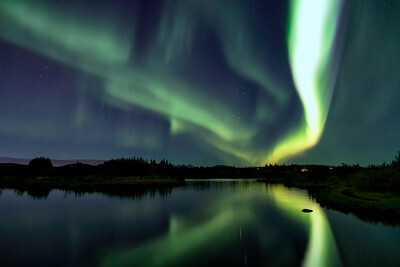 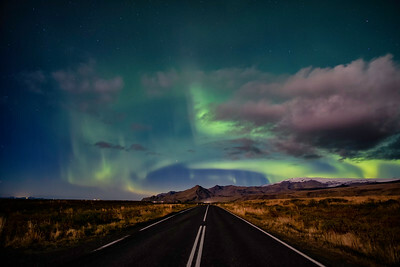 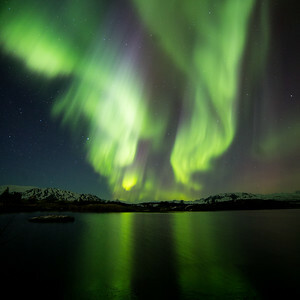 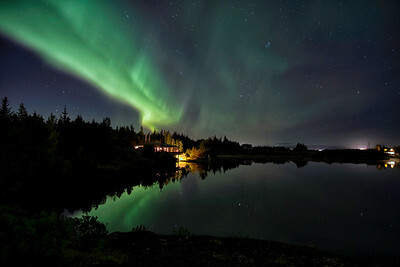 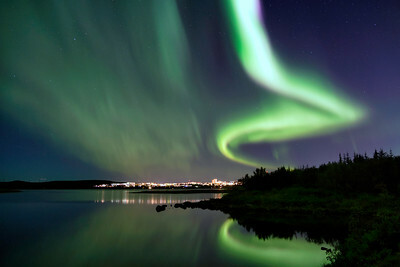 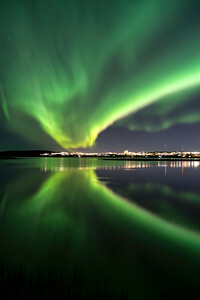 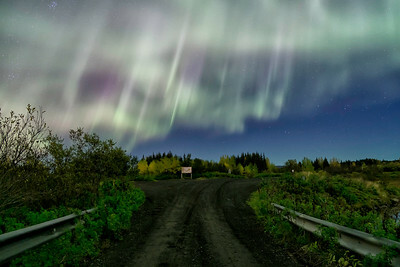 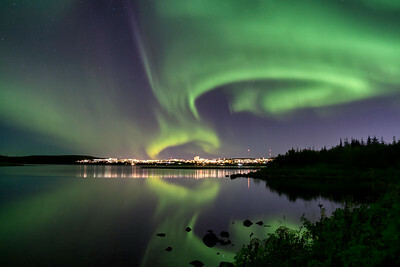 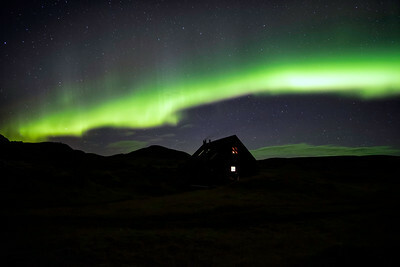 Auroras over Eillidavatn close to Reykjavik in Iceland. 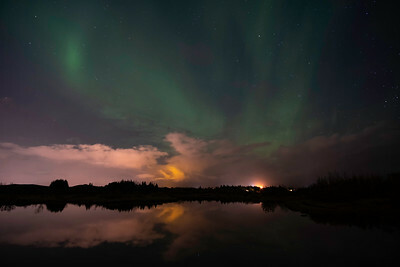 calm water reflecting the northern lights blazing in the sky. 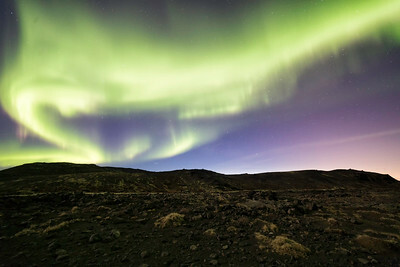 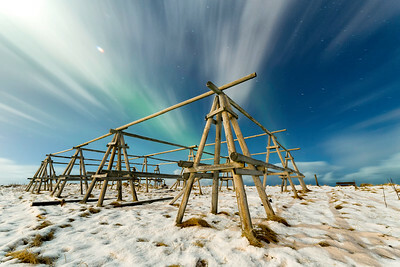 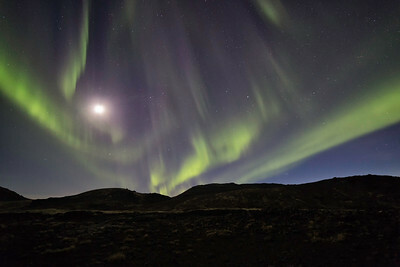 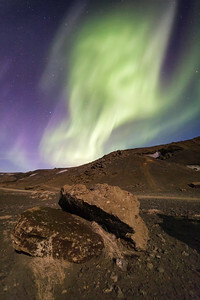 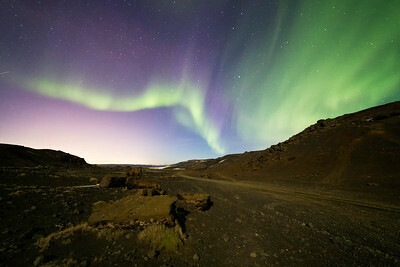 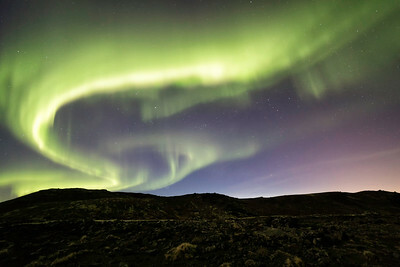 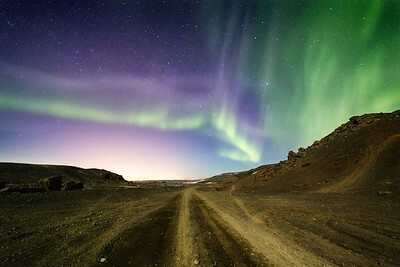 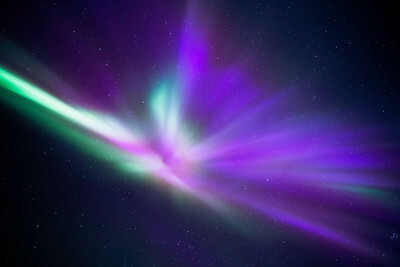 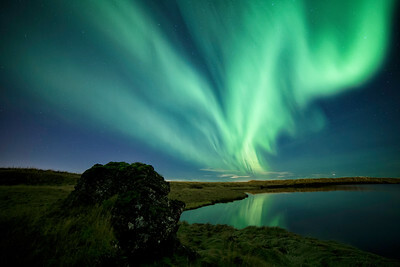 Northern lights in April over the Reykjanes peninsula in Iceland.